Matador Horn Lockback Folding Knife | BUDK.com - Knives & Swords At The Lowest Prices! 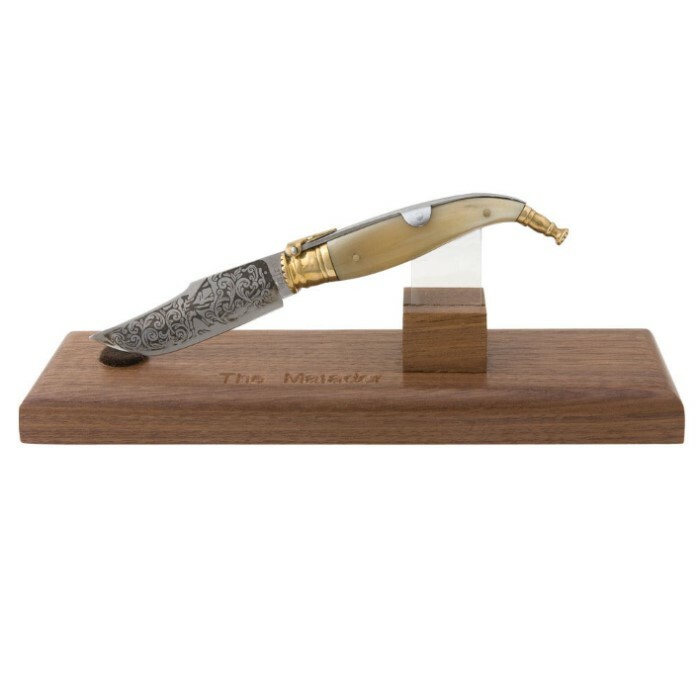 For the fan of bull fighting and the matador, you wouldn't find a more perfect knife. This bull-horn-handle lockback knife features a distinctive lockback trigger that allows the blade to remain open even when extreme force is used. 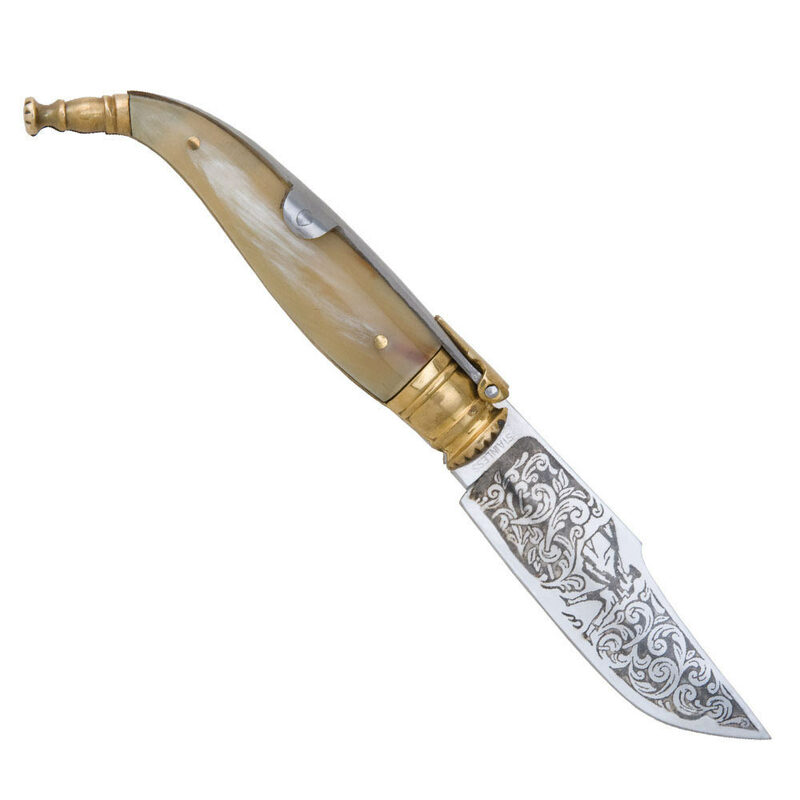 The 2 7/8" mirror-polished stainless steel blade features laser-etched matador artwork on both sides of the blade. Includes wooden desk stand inscribed with "The Matador."